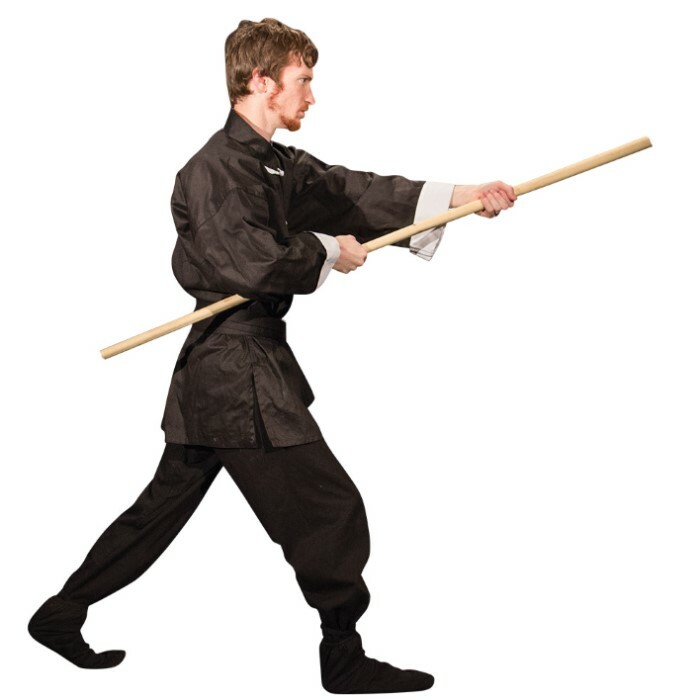 4' Wax Wood Self Defense / Training Staff | BUDK.com - Knives & Swords At The Lowest Prices! The discovery of the amazing strength and durability of White Wax Wood has just recently become well publicized. These Chinese saplings have offered shock absorbent, unbreakable power for thousands of years, and now you can experience it for yourself! Ideal for use as a spear shaft, or it can be cut down to suit your needs. Walking cane, hiking staff or training device - the possibilities are practically endless! Each staff is crafted using the tree's natural dimensions, so each staff will vary slightly in diameter. When i ordered this bo staff i was exited but when I opened the package it was so bent looked like i could turn it into a bow and arrow more than a bo staff . And it was also really dirty! it had so many stains and they wont come off not as happy as i useally am. Staff arrived and is bent, beginning around 16" from end at a 15° angle. Not worth it to return it. Normally very happy with Budk's products! It is made of good quality seems like. It came in quick too jst under 5 working days. Nice feel. Seems solid. But came a little under 4 ft. 3 ft 11 in. So if your looking for something of a certain height 4ft with a little more id suggest get the 6ft staff and cut it to your liking. The quality of this item is fantastic. My family finds it useful as a walking stick (arthritic knees dont'cha know)or for countless other uses indoors and out. The price is very fair. The 4' length makes the better walking stick unless you are a really large person. 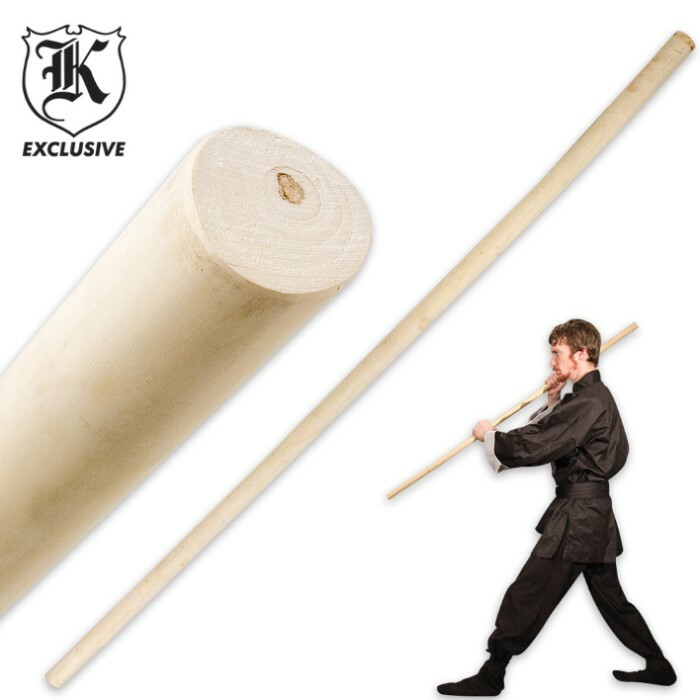 Whatever your needs in a staff, walking or hiking pole or for training in martial arts, this Wax Wood staff deserves your careful consideration. It DOES the job! Had to treat it with wood polish, it was really dry but it has great balance and is solid. When I got it I was very happy it came in just a few short days. I opened it was a little worried that one side was a little bigger then other but a little sanding can take care of that lol. But I would recommended. Great staff is all I can say! I've heard that waxwood is good but wow! My wife is a falconer and always had trouble with breaking her hawking sticks. I bought 2 staffs in 2008 and they've held up extremely well. We've used them for whacking brush, probing rabbit holes, and prying on logs with no breaks or signs of stress. Well worth the money.